Discounts and quality products & services go hand-in-hand, at least with Club Save. Whether a visitor or a resident, capitalize on this fantastic Health & Fitness discount of up to 15% off offered by Kings Sports Centre, known for their high-quality services and products in the Cayman Islands. Enjoy significant savings using our limited-time discount deal in Cayman. Our hand-picked, exclusive discount deals are updated regularly and ensure you pay less and enjoy more. So, say yes to savings and having fun at the same time! 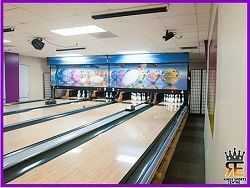 Show your Club Save Card to recieve 15% off bowling 2 hrs or more.